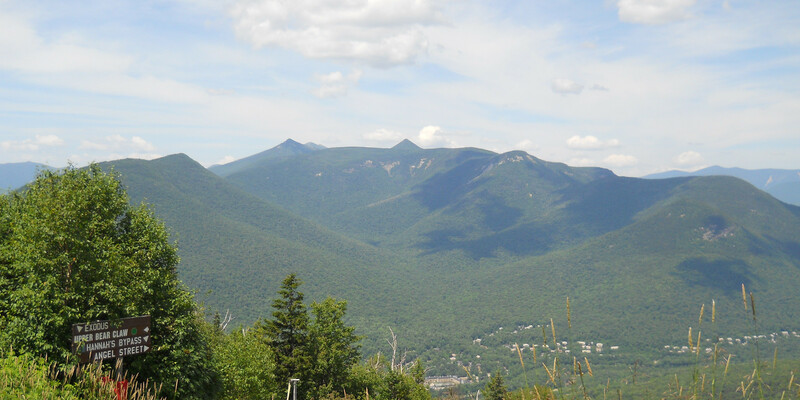 Loon Mountain (Summer) - Lincoln, NH - Take a day trip! 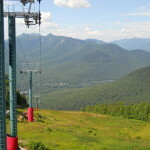 Loon Mountain Ski Slope in the summer. Hiking: Loon Mountain has lots of hiking options to take you up various ski trails in the summer. Seeing the mountain and ski facilities in the summer is an interesting way to experience a familiar place in a new light. 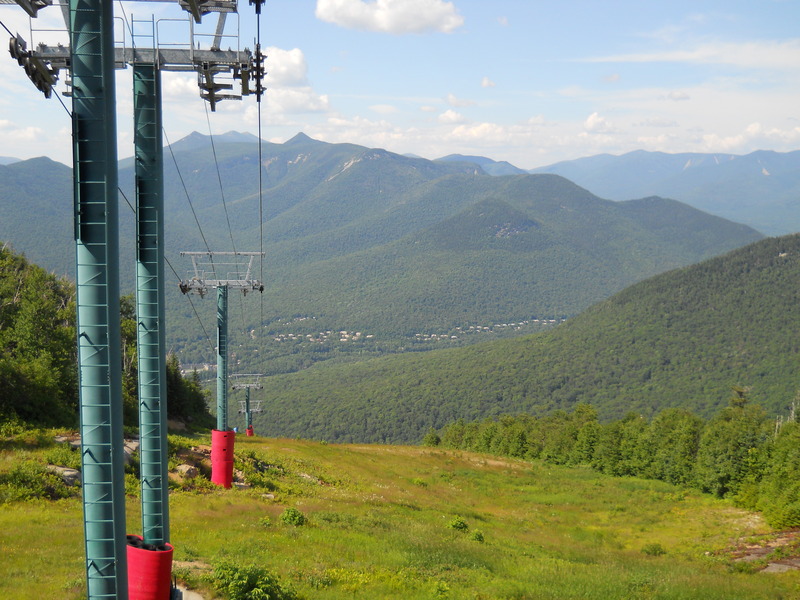 Scenic Lift Rides: Loon Mountain runs their main gondola lift in the warmer months for sightseeing. Zip Line: Loon has a 700 foot zipline that whisks you across the Pemigewasset River. Riders have to be between 50 and 250 pounds and have closed toed shoes to ride. Aerial Forest Adventure Park: With platforms set up and connected by ladders, ziplines and other routes these courses are a great way to enjoy being outside in New Hampshire. Climbing Wall: Practice your rock-climbing skills and get a great workout in a safe environment on the rock wall. Bike Rentals and Tours: Loons has a network of trails through the area and a paved path as well as offering rentals. Special Events and other activities: Loon has a full summer events calendar a lot of other available activities. Check out their summer and fall activities page for more details. Loon Mountain has a full suite of facilities from dining through to numerous lodging options. For lodging options in the area (including both on-mountain and off-mountain options) and to book check out Loon Mountains lodging page. For pricing information on activities, including multi-activity passes with discounts, please check out their summer and fall activities page.